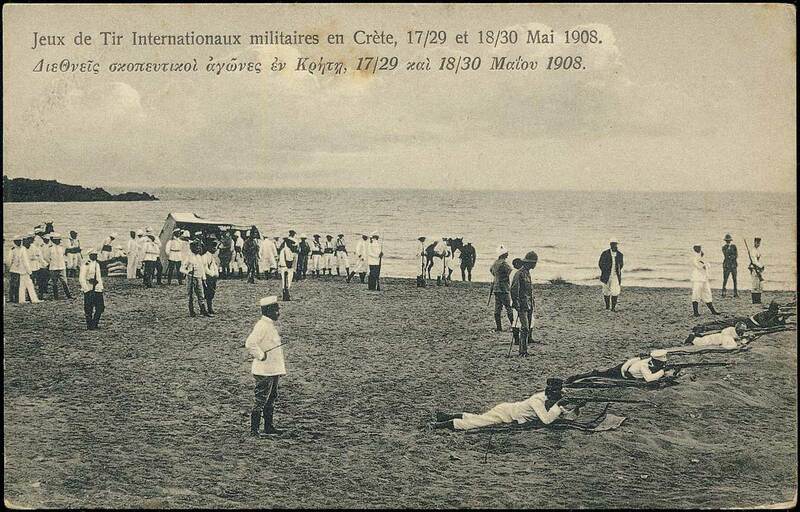 Russian troops | The British in Crete, 1896 to 1913. 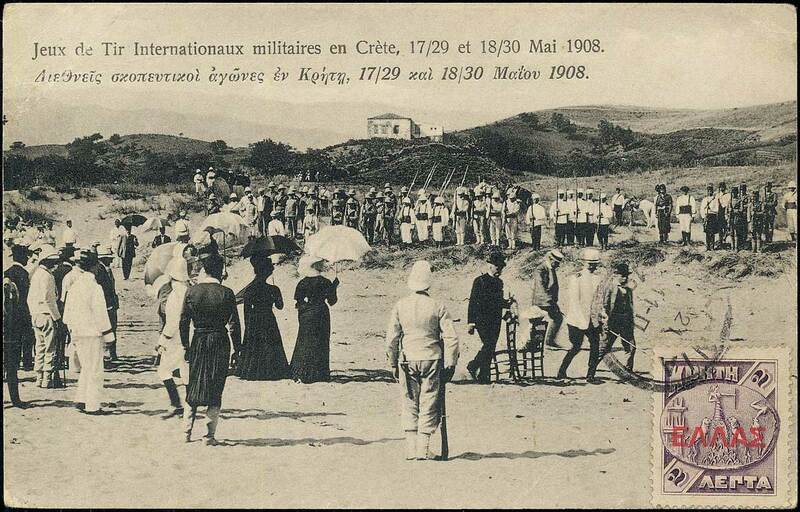 Canea, 15th April 1897. 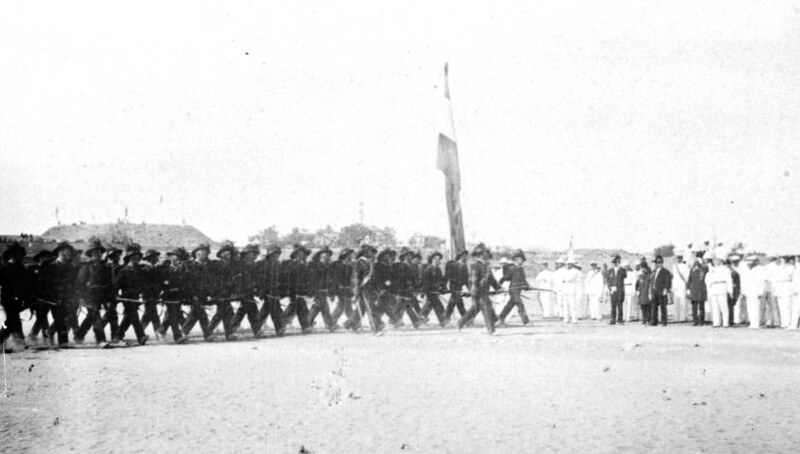 The International Parade. 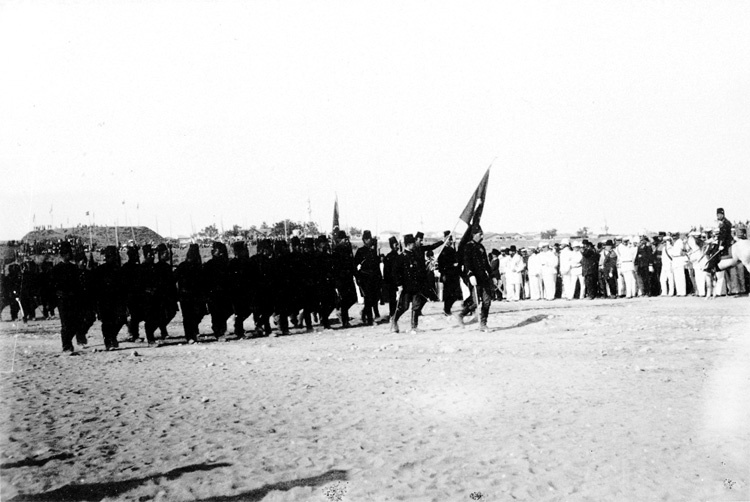 The parade in question was a review by the Admirals then commanding Crete, of the International garrison of Canea; an event held with the purpose of impressing the inhabitants of Canea, both Christian and Muslim, with the might of the European Powers who had been landing over the past weeks. Presumably it was intended to impress Muslim population of the determination of the Europeans to protect them, and convince the Christians that the Insurgents, even backed by the 1500 or so Greek troops on the island, had no chance of military success. 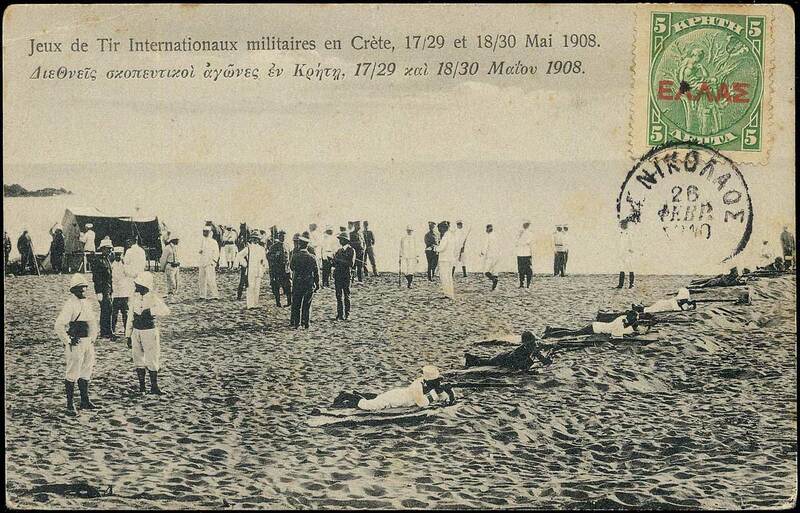 It also coincided with the recent repulse of a number of Greek troops and irregulars who at one stage, threatened to attack the town, only to be driven back by the guns of the International Fleet and field guns landed by the French Army and Royal Navy. 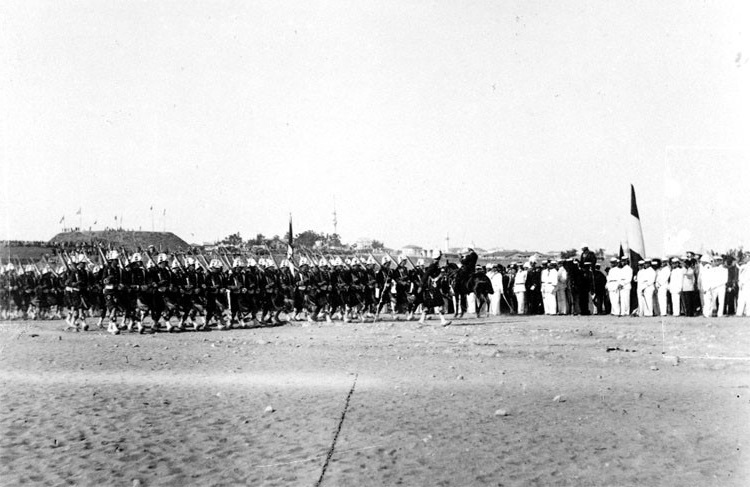 Whatever the motive, the parade appears to have been somewhat spectacular; particularly, one assumes, by Cretan Standards. The provenance of the photographs below is difficult to ascertain, but there is some indication they come from an Austro-Hungarian source. 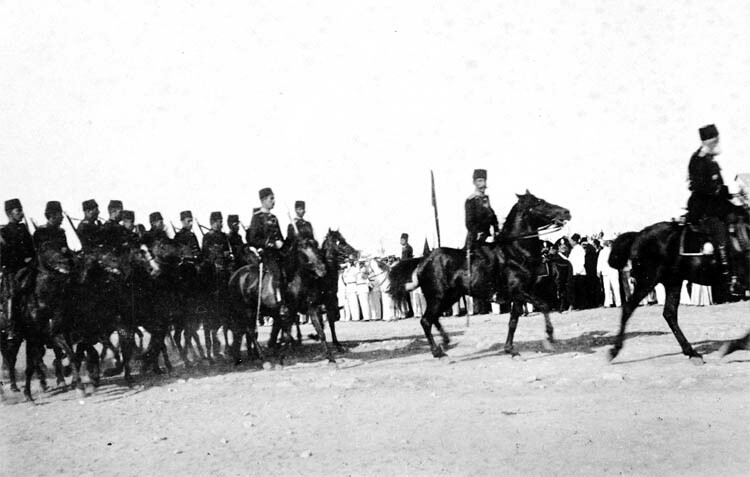 Ottoman troops on parade. Note the bastion in the background with the flags of the European nations flying. French troops (?) 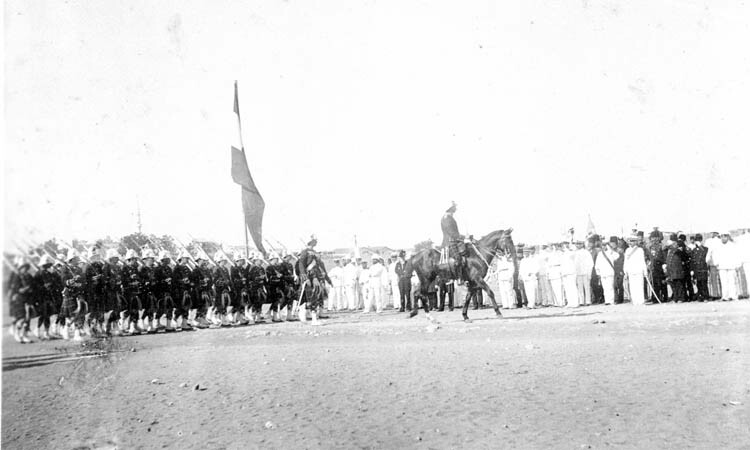 on parade. French troops (?) with mountain guns/telegraph laying equipment. Both the French and the Italians were recorded as having some artillery in Canea at this time. 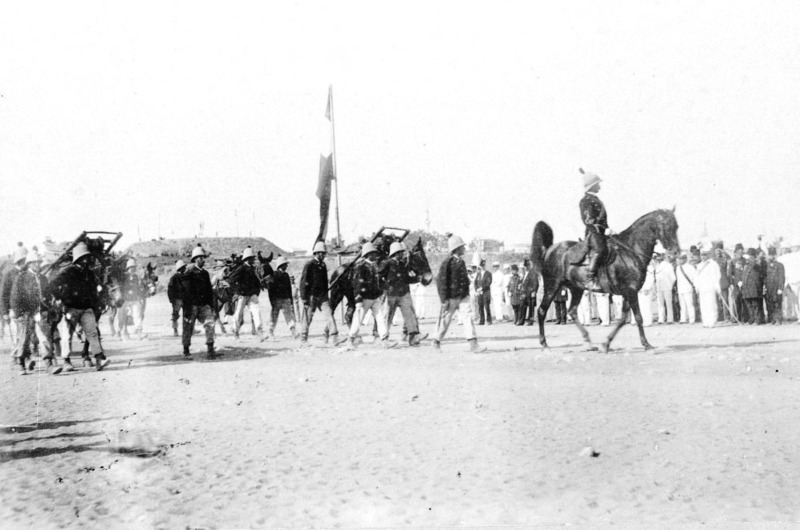 Shortly after this parade, on 26th April, a battery of mountain artillery, 4th Mountain Battery , Royal Artillery, were landed in Candia.. 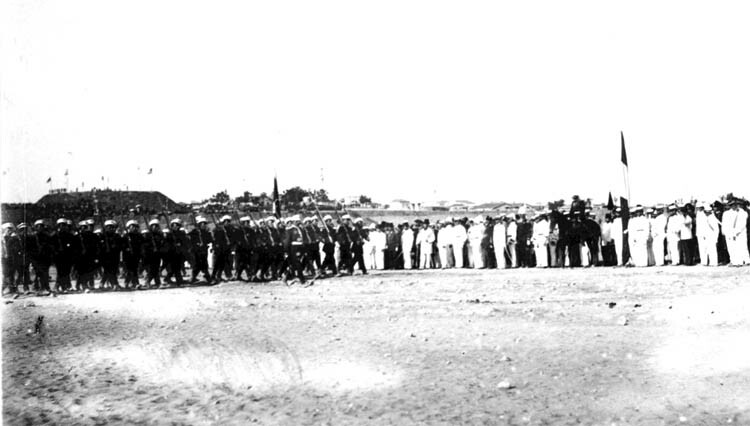 The parade ground in Canea no longer exists; it is now a football pitch. WO 33/149. No. 30. Secretary of State for War to Commander in Chief Malta, 29 March 1897. No. 43. 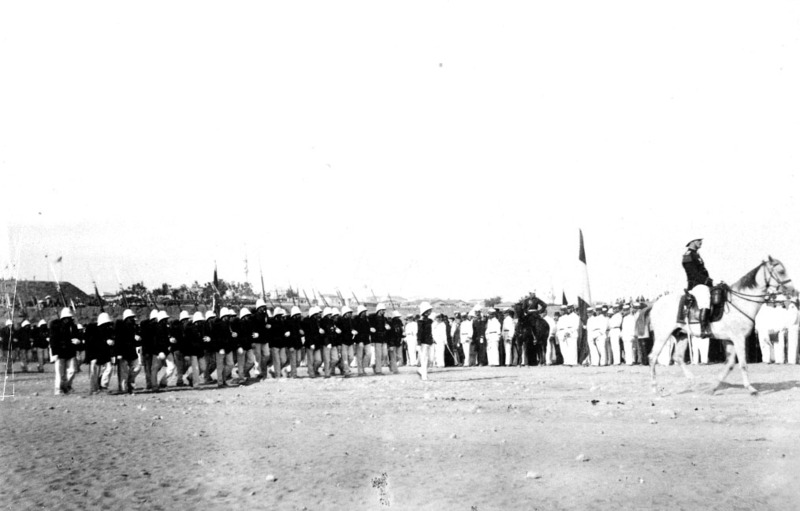 Adjutant General to Commander in Chief Malta, 2 April 1897. ADM116 Vol.2. Telegram No.476. Rear Admiral Harris to Admiral Sir John Hopkins 23 April 1897. 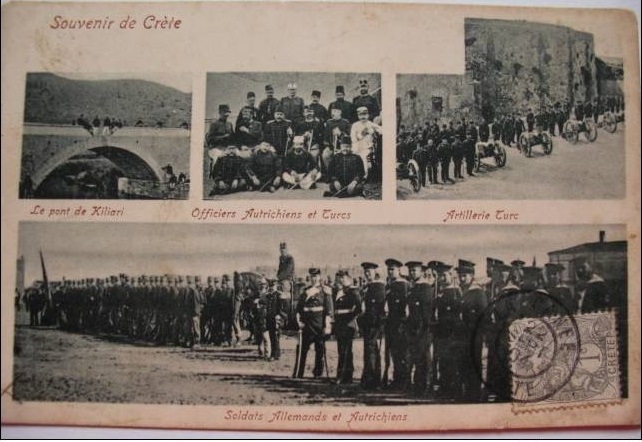 This entry was posted in British Army in Crete, European Intervention Crete, French troops, Russian troops, Seaforth Highlanders, Uncategorized and tagged Canea 1897, Crete 1897, European Intervention Crete, International parade Canea 15 April 1897, International troops, Major S.B. Jameson, Seaforth Highlanders on August 30, 2016 by Mick McT. Collecting weapons from Cretan Christians. Late 1898 or early 1899. 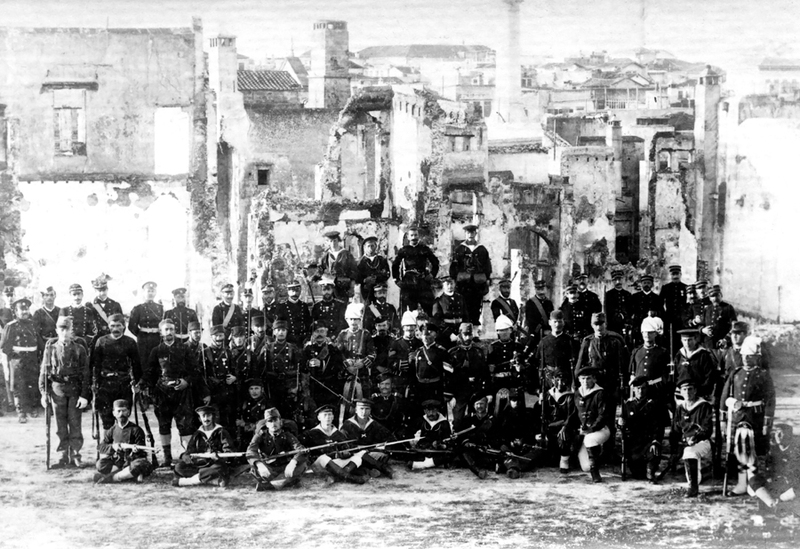 One of the tasks of the British, and other European, troops on Crete was to disarm the Cretans. The Muslim population were mostly based in the larger towns on the north coast of the island, towns occupied by European forces, and their disarmament was straighforward. In the Christian controlled centre and south of the island European officers went out into the villages and working through the local chietens and political leaders, arranged the ‘voluntary’ disarmament of the local population. The flag on the right hand side of the photograph is almost, but not quite, the flag of the Cretan Autonomous State. The one displayed here, with a cross in the upper left quadrant, was the version that was rejected by the European Powers. 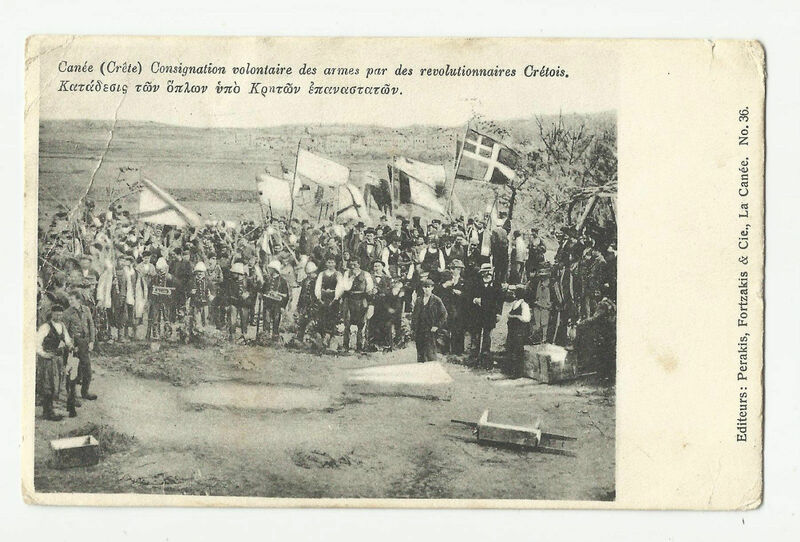 The objection to it was that it had two (Christian) crosses on it which was deemed to be politically insensitive since the Cretan Auonomous State had been created upon the expulsion of the Ottoman (Muslim) authorities by the Powers. The official flag had a star in the top left quadrant, representing the minority, Muslim, population of the island. More information on the significance of Cretan flags can be found here. This entry was posted in Cretan Rebels, European Intervention Crete, Russian troops and tagged Cretan Christians, Cretan revolutionaries, International troops, Russian troops on June 13, 2014 by Mick McT.